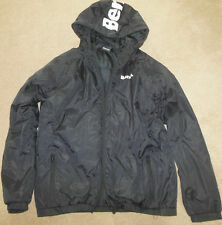 BOYS BENCH BLACK COAT- IN GOOD CLEAN CONDITION. PLENTY OF GOOD WEAR LEFT IN THIS FASHIONABLE COAT. 2 front velcro fasten pockets. bench logo on left sleeve. integral hood. 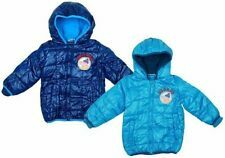 Fantastic BENCH Boy's Fleece Lined Hooded Parka Coat. Fixed hood with faux fur trim. Turquoise fleece lined to body. Price reflected. Mustard colour. 3M scotchlite reflective trim to front pockets for safety. Water resistant, 2 zipped pockets. 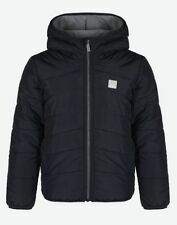 Lightly padded - perfect for mild UK winter. 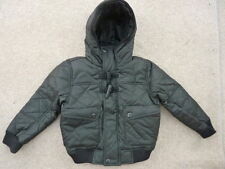 Hooded Bomber Style Black jacket. hideaway detachable hood - zipped into the collar. fully quilted lining. pockets, inc a little one in the inside neck. chunky zip. 11 - 12 Years. 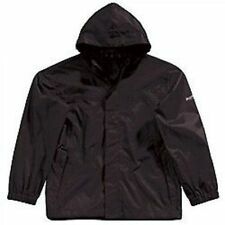 Bench Shower Jacket. Slightly elasticated string around bottom. Mainly White In Colour with checked blue & white at top. Size Age 11-12 Years. Full Length Zipper. In very good condition. BENCH - BOYS ZIP THROUGH JACKET. 9/10 YRS OF AGE. STYLISH & WARM LONG SLEEVE, GREY IN COLOUR. LOVELY AND SMART BOYS ZIP THROUGH. 30 DEGREE WASH. FRONT ZIP THROUGH OPENING.